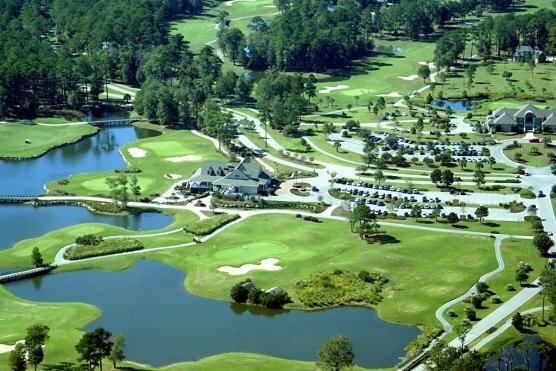 Coastal Carolina junior Ben Wheeler recently won the Big South individual championship at The Patriot Club at Grand Harbor in Ninety Six, S.C. He finished off the victory by closing with a 3-under par 69 and finishing 5-under for the tournament (70-72-69). He won by three strokes over Charleston Southern’s David Denlinger and Campbell’s Gaston Bertinotti to become Coastal’s 10th Big South individual champion – the first since Zach Byrd in 2009 – while earning his spot in the upcoming NCAA regionals. The Chanticleers, meanwhile, finished third as a team with a 14-over 878 collective score, 11 strokes behind first place Liberty and six back of runner-up Charleston Southern. Coastal junior Andrew Dorn finished strong to place seventh individually (71-78-70) with a 3-over 219, and the Chants coach Kevin McPherson is hopeful that he might earn an at-large bid into the NCAA regionals based on his rankings. Congratulations to Ben Wheeler for his triumph and to all of the Chanticleers.